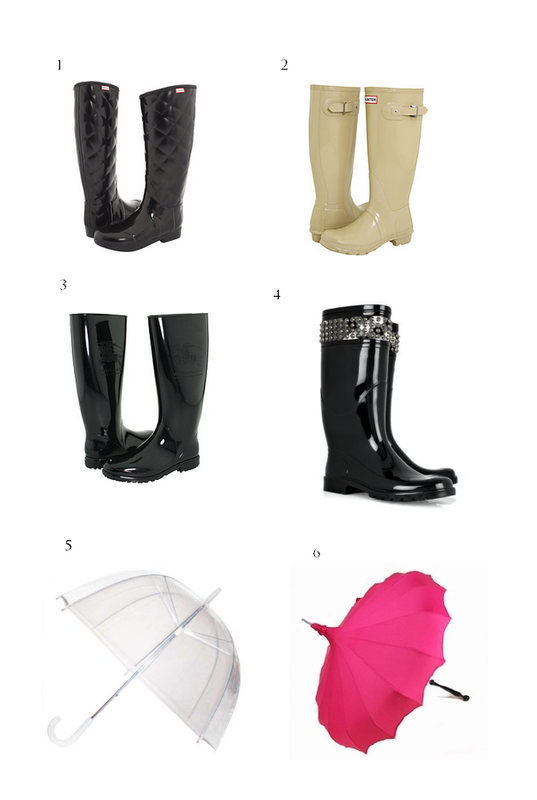 Just a few of the things I've had on my mind for the fall...mainly rain boots. It'll be my first official pair, so I've been looking into a few options and these seem to be the front runners. Also I added a few umbrellas I would like add to my collection :) mainly the Pagoda. What are some of your favorites? Ohh, love! I've been wanting Hunter boots and that pink umbrella is preciousss. i love the hunters in beige--it's fun to pair socks with them (if you're not wearing them over pants)! my vote is for the bubble umbrella--i use one, and get so many squeals from women who always say something along the lines of "i remember those from when i was young!" I adore the hunters, they look super cute and from a distance you can't even tell they're rain boots! I 've been wanting a pair since last year, maybe this year I 'll get lucky? Lol!